The Los Angeles Film Festival made its debut in 1995 as the Los Angeles Independent Film Festival, with screenings at the Raleigh Studios' modest screening room. The documentary representation was scant in the first few years; by 1998 the festival had commandeered the then-Laemmle Sunset 5, but that year audiences were treated to just two feature docs, one of which was Bennett Miller's first film (and sole feature-length nonfiction work to date), The Cruise, which screened at 10:00 a.m. on a Saturday. Film Independent (then IFP West) took over the festival in 2002, dropped the "Independent" from the title, and later moved the festival to Westwood Village, near UCLA. The documentary programming expanded substantially in the 2000s to include a documentary competition, along with hefty jury prizes and audience awards, and docs have proliferated nearly all the strands since then. But there plenty of docs to go around—22 in all. And true to LAFF's programmatic savvy, Los Angeles stories loomed large in the mix. 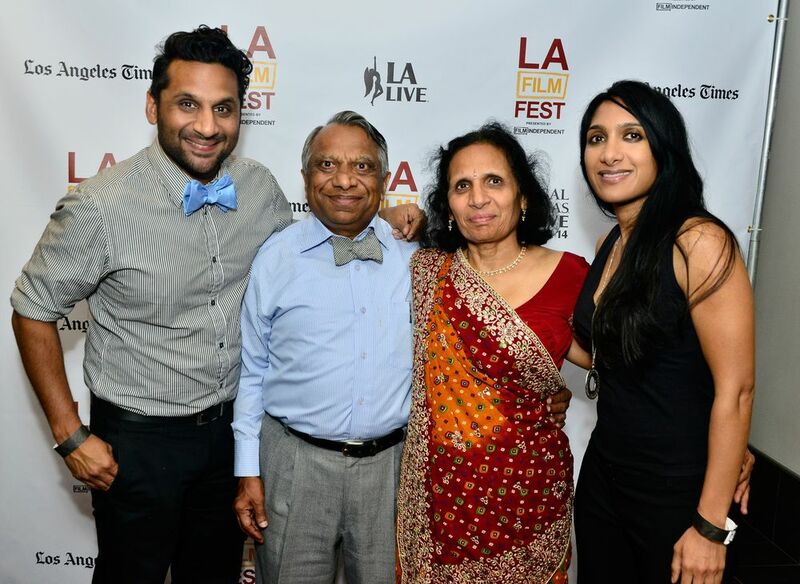 Meet the Patels, from the Los Angeles-based brother-sister team Geeta and Ravi Patel, is a delightful, six-years-in-the-making docu-comedy about Ravi's search for a soulmate—and his struggles to reconcile the tradition-bound desires of his parents to find him a suitable Indian bride with his own Western-tinged ambivalence about honor and autonomy. With Geeta as his behind-the-camera confidante, confessor, coach and conspirator, and their camera-ready parents alternatively dismayed, droll and deferential, Ravi makes for a charmingly self-effacing protagonist. A blend of animation, home movies and vérité footage, Meet the Patels tackles many themes—cultural identity, generational differences, tradition vs. assimilation, interracial relationships—in an organic, story-driven way. The film earned the Audience Award for Best Documentary Feature. 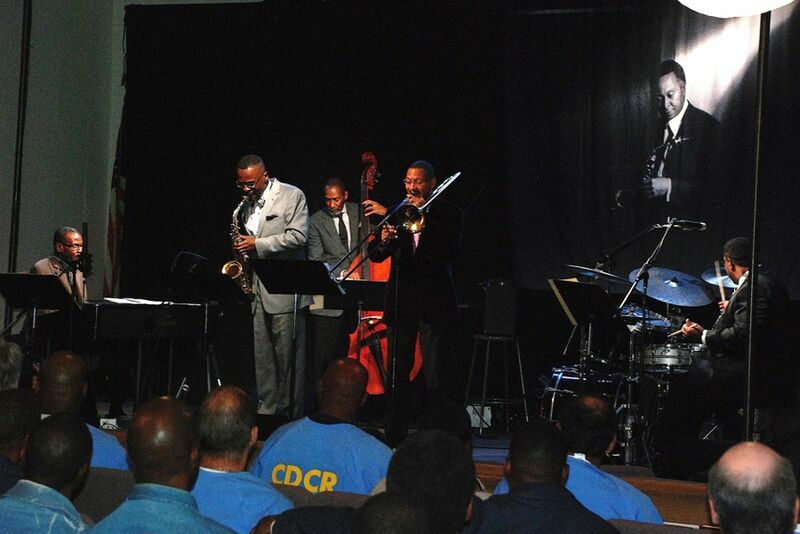 Another LA tale, N.C. Heikin's Sound of Redemption, making its world premiere at LAFF, tells the story of the late jazz artist Frank Morgan—an epic journey indeed. He settled in Los Angeles as a teenager and, prompted both by his musician father, Stanley Morgan, and his idol Charlie Parker, Morgan rose quickly in the jazz community, gaining prominence as a prodigy. Heroin throttled his promising career, followed by a decades-long life in and out of prison. All the while, he never abandoned his art—even in prison. In his last decades of freedom—he died in 2007—Morgan released a torrent of albums to complement his work from earlier decades, and although the redemption was hard-earned, he was as revered among his jazz world peers as he was when he first caught the attention of the masters back in the 1940s. While Morgan had a tough time staying out of San Quentin, it took a year for filmmaker Heikin to get in. She came up with the idea of staging a concert there, featuring Morgan's contemporaries, such as Ron Carter, and up-and-comers, such as saxophonist Grace Kelly, but it was one of her producers, James Egan, who led the negotiation process. And that concert serves as an effective narrative spine for the film, in addition to evoking Morgan's deep, melancholic sensibility. We hear from Morgan himself—his music and his reflections—as well as from his fellow artists, friends and family, in both archival footage and new interviews Heikin shot for the film. Morgan's life was rich and rough—he also married eight times—and Sound of Redemption negotiates the tricky shoals between his art and the life that informed it. Making its US premiere, The Life and Mind of Mark DeFriest, from Gabriel London, profiles an inmate who, like Frank Morgan, spent three decades behind bars. And, like Morgan, DeFriest is crafty about devising ways to beat the system. DeFriest's multiple attempts—some successful—to escape exacerbate his already woeful situation—and wear down his mind, if not his will. 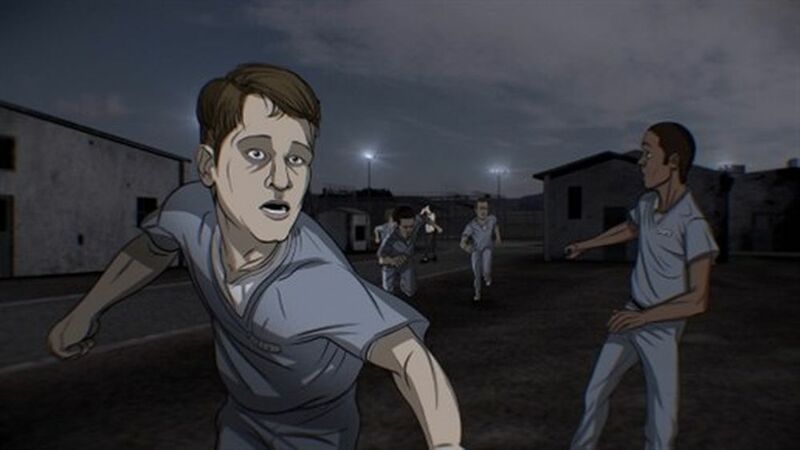 The film deftly weaves together the byzantine complications of mental illness and crime into the narrative, with a smart deployment of animation to solve the re-enactment quandary. And given this is a journey into the life and mind of Mark DeFriest, and we're never quite sure what to believe, the animation, created by Jonathan Corbiere and Thought Cafe, feels correspondingly off-kilter, like an underground graphic novel that DeFriest himself might have authored. In one of the many twists in the narrative, the psychologist who had initially questioned DeFriest's claims of insanity back in 1981 has a change of heart and conscience 30 years later and affirms that the inmate may indeed have been psychologically damaged prior to his first incarceration. Given the decades-long hell that DeFriest has suffered—for relatively minor felonies—prison has served more to exacerbate than rehabilitate. I came away with a deeper respect for DeFriest; he—and the filmmaker—rarely, if at all, solicit our pity. To seque from the personal to the national, Last Days in Vietnam documents the frenzied, final chapter of a lamentable period in the American narrative. With access to remarkable footage of both the 45 days leading to the fall of Saigon and the 1973 cease-fire treaty that started the slow retreat, and to the key actors in that drama, Rory Kennedy has crafted a riveting, suspenseful account of history. Her first doc for PBS, Last Days in Vietnam airs on American Experience in 2015, after a theatrical release in September. Eschewing a re-examination of the Vietnam War, Kennedy focuses on a day-by-day, hour-by-hour account of that chaotic month and on the lesser known characters in this episode-the noble-and-principled-to-a-fault ambassador, who stubbornly delayed the evacuation; the heroic servicemen, who tirelessly evacuated as many American and Vietnamese as possible; the journalists who covered the last days; and the magnanimous citizens who were left behind, but who eventually made it to the US. Last Days in Vietnam is not a revisionist history, but more of tribute to those who tried to salvage something redeeming out of lost cause. 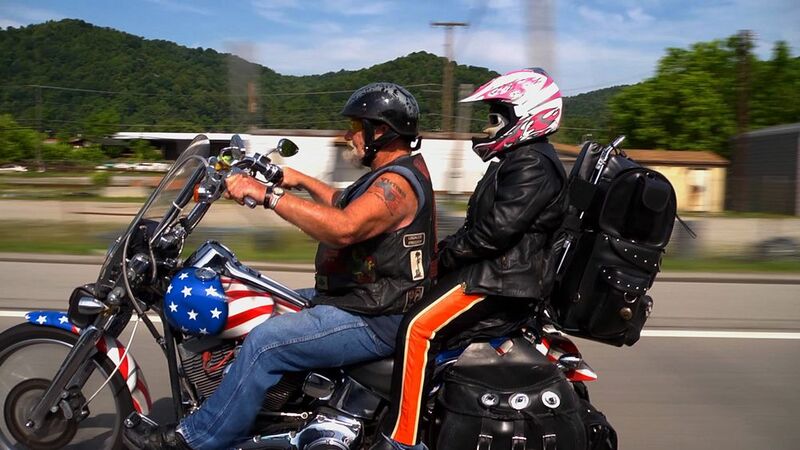 The pain and scars of Vietnam live on among such veterans as Ron "Stray Dog" Hall, the protagonist in Debra Granik's Stray Dog, which won the Jury Award for Best Documentary Feature. Granik had met Hall in his native Missouri, on the set of her 2010 feature Winter's Bone, in which he played a small role. The burly, heavily tattooed Harley rider makes for an engaging presence—running a trailer park, adjusting to married life with his Mexican wife, taking care of his dogs, providing sage counsel and brotherly support to other veterans, joining his fellow bikers on a pilgrimage to the Vietnam Memorial in Washington, DC, and coping with his long-simmering PTSD-related nightmares. Granik wisely eschews narration, cards or sit-down interviews; heeding to the better qualities of vérité documentary, she defers the film to Stray Dog, and we learn his backstory and worldview organically and implicitly. While the film ran a bit long, and could have stood a tighter edit, Stray Dog tells a quiet tale of survival, deep bonding and resolve. Two additional films that exude the strengths of good observational cinema were Farida Pacha's My Name Is Salt and Eliza Kubarska's Walking Under Water. 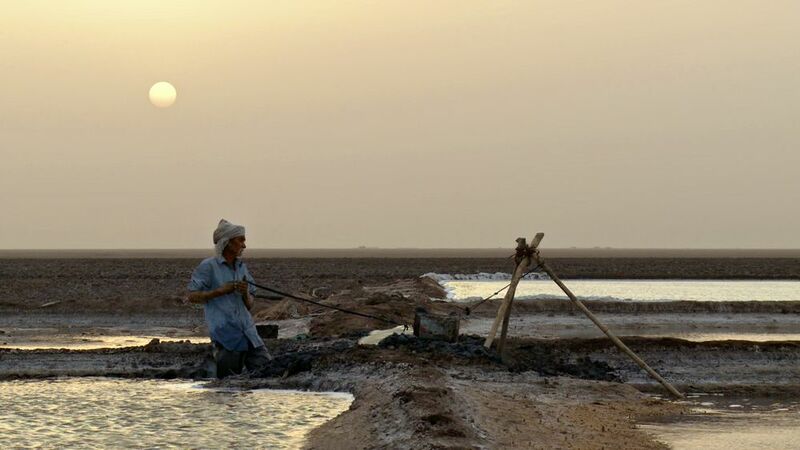 Pacha's film takes us to Little Rann of Kutch, a vast saline desert in India, where, for eight months out of the year, a nomadic community travels here to harvest salt from the fields. The process is painstaking, precise and laborious, and the tools to do so are antiquated and seemingly inadequate to the task. But the people persevere through adverse conditions and complete their work just before the monsoons come and wash everything away. The remuneration is scant for this Sisyphean endeavor, and the families seem to have few leisurely outlets to countervale the numbing task. Pacha and her cinematographer, Lutz Konermann, capture a stark beauty in the landscape, taking their time to show us the vastness that seems to engulf the salt people, as well as the odd incongruities—an upside bicycle, a white horse—that underscore its feverish strangeness. And with the people themselves, the filmmakers show an abiding respect and patience, holding steady as the salt people carry out their rhythmic, repetitive processes. 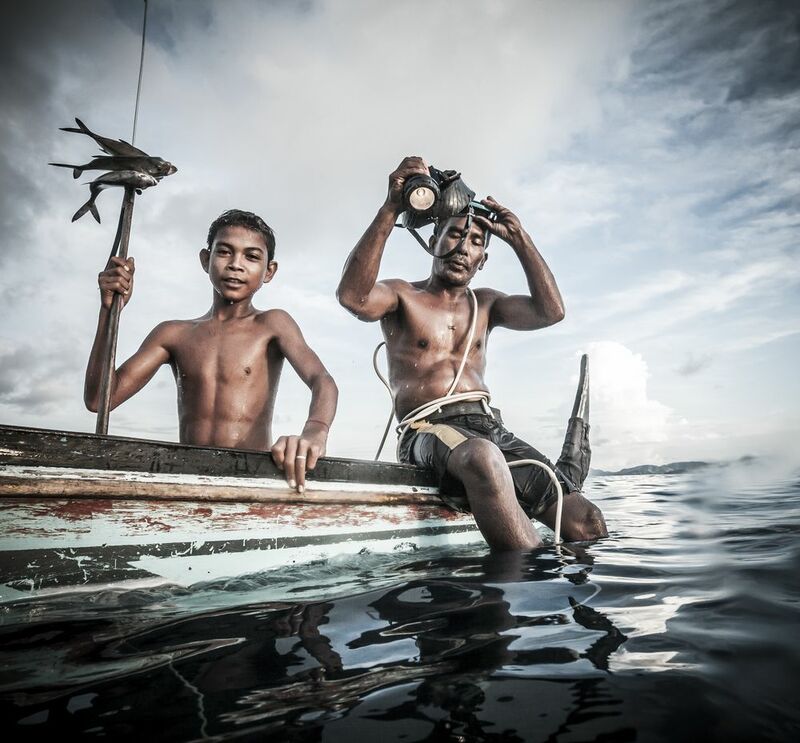 Walking Under Water also follows a nomadic sub-culture: the Badjao spear fishermen off the coast of Borneo. Like the Indian salt people, the Badjao use ancient methods and outdated equipment to carry out their work—and filmmaker Kubarska's cinematographers, Piotr Rosolowski and Lisa Strohmayer, dive down right beside them. The main characters of this story, a seasoned diver and his ten-year-old nephew, make for an endearing generational pair, with the elder teaching both his craft and his wisdom about old traditions and encroaching modernity. In one enchanting scene, the two sit by a campfire, the uncle spinning a yearn about how the Badjao people came from the sea, living among the aquatic creatures. Whether or not this scene was staged or constructed didn't matter to me. Walking Under Water evokes Flaherty's best work, for sure, but also that of the great magic realists of literature. The film earned Honorable Mention for Best Documentary Feature.